It seems we are on a bit of a Mexican kick around here lately: Salsa, Bean Tostadas, Baked Tostada Shells, and Crockpot Refried Beans. We are missing something really important though. Homemade guacamole. This is one of my favorites. There is no comparison to the packaged stuff and it’s super easy to make. Every once in a while my daughter and I will eat this delicious dip for lunch. It’s good enough to eat with a spoon. I spent 5 years working as a server in a Mexican restaurant and one of the appetizers on our menu was Tableside Guacamole. Everyone loved it. We charged almost $7 for guacamole made from 2 avocados. Mark up much? 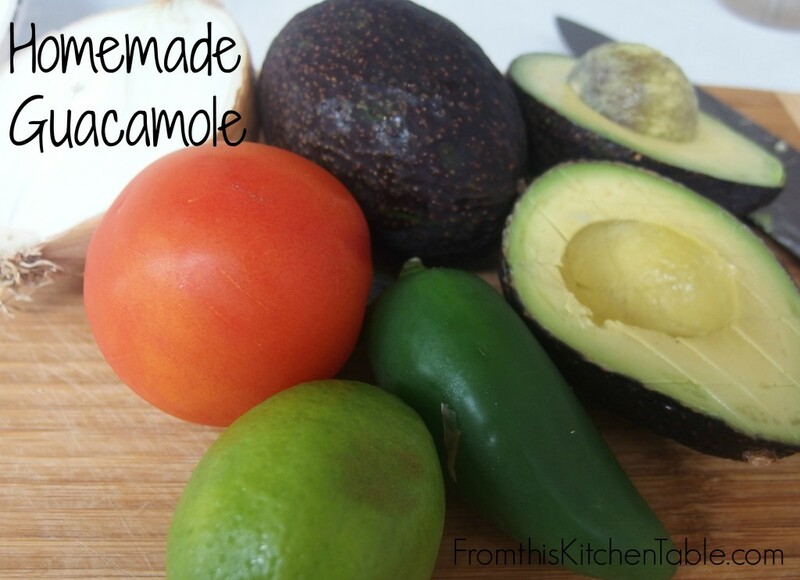 Even if it’s off season and you pay $1 each for avocados you can make this for almost a third that price. Red onion is the best in this dish, but when I don’t have one I use whatever I have on hand and it still turns out amazing. The jalapeno adds a gentle kick but since you take the seeds out, it’s not overpowering. Leave it out if you want a more mild flavor. Stay tuned next week for my favorite way to cut an avocado and remove the pit that I learned from my waitressing days. Remove avocado from skin and cube. Add to a bowl. Add minced onion, jalapeno if using, garlic, ¼ teaspoon salt, and pepper to the bowl. Use two forks and smash and stir the ingredients until desired consistency. Squeeze the juice of ½ the lime over the mixture and stir. Taste and adjust salt and lime if needed. Gently stir in diced tomatoes. This entry was posted in Uncategorized on August 1, 2014 by Deanna Michaels. 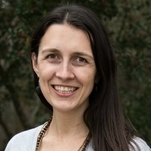 Congrats on being the featured Blogger on the Weekend Retreat Linky! Thanks, Angie! It was a fun surprise to go to link up and see my blog being featured! It is super tasty and easy! I agree, I’ve seen some people add hard boiled eggs but I like it with just the avocados! My daughter and I usually finish off most of the bowl in one sitting! This recipe sounds awesome! He he, we are the same way! My husband doesn’t care for avocados but my daughter and I don’t mind at all. In fact, it will be a little sad when little brother starts wanting to eat it too. Homemade guac is always better, last night I just added a little smoked sea salt before spreading on tortilla for Friday night tacos. Thanks for sharing and linking up again at the #WWDParty! Enjoy the rest of your weekend. Oooo, smoked salt sounds amazing! I love my sea salt, but that would add a nice twist. 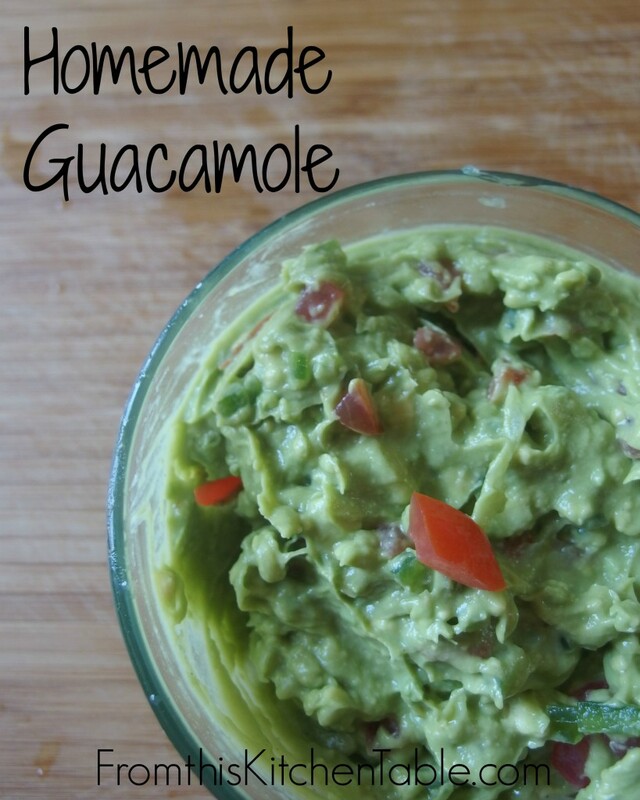 We love guacamole! It’s such a wonderful (and healthy) addition to a meal. Thanks for sharing your recipe with us at Simple Lives Thursday; we hope to see you again this week. Thanks so much for hosting! I love guacamole too! I like to just dig in with a spoon. Pingback: Super Bowl Party Food - 75 Super Bowl Recipes Everyone Will Love!